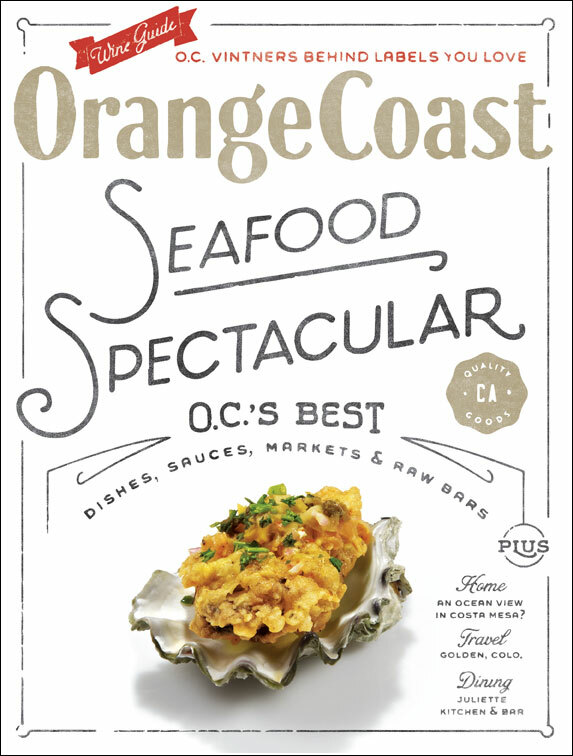 Reeling in O.C.’s 10 best seafood dishes, as well as other local classics, sauces, markets, raw bars, and wine pairings. Plus, a deep conversation with the Fisher King, and determining what’s really “local” among the local seafood offerings. For a great recipe for Citrus-Steamed Mediterranean Mussels from Santa Monica Seafood, click here. To order a digital copy of the December issue with the full feature, click here! A lot of locals fantasize about plowing their retirement years and accumulated fortunes into wineries. But some actually do it. 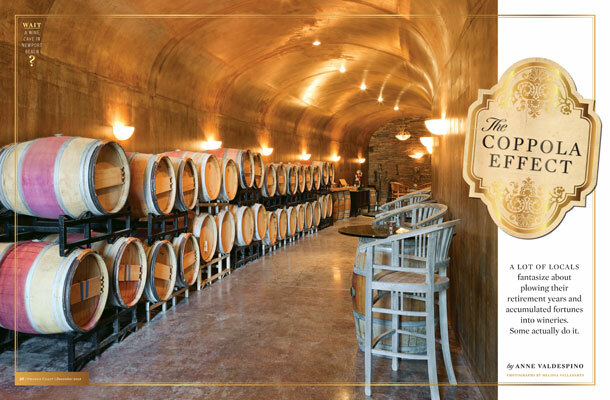 To read about three local wineries where locals can have a wine-country experience, click here! Subscribe or order a digital copy of the December issue here! How a Costa Mesa couple got their differences to meld comfortably in am ocean-view remodel. WEB EXCLUSIVE: View unpiblished photos of this house, click here. To order the December issue click here! Society Editor Gloria Zigner’s monthly recap of the county’s top charity events, including South Coast Repertory’s gala that netted $500,000 for artistic and educational programs. The Neighborhoods page explores Laguna Beach’s canyon culture. O.C. Answer Man looks at local Christmas traditions and the courthouse’s life-sized fiberglass cow. Books introduces you to the remarkable work of photographer Seth Casteel, a Chapman University alum best known for his pictures of dogs underwater. Perfect Getaway spends the winter holidays in Golden, Colo. O.C.’s Own takes you backstage with “Rock of Ages” Tony nominee Kristin Hanggi of Fountain Valley, and On the Market shows you the latest in home office design. We also highlight seven don’t-miss December happenings on our events page. This expanded edition of our monthly Finds pages showcases what’s haute for the holidays. Hot Shop writer Erin Stafford visits Viridian boutique in Costa Mesa and interviews the entrepreneurial visionary behind Jessica Grant Handbags in Tastemakers. 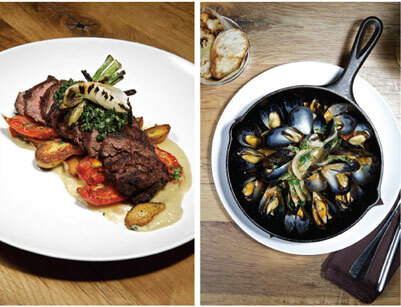 Our bigger and better dining section this month features a Main Course review of Juliette Kitchen & Bar, a Newport Beach watering hole that’s becoming a must-try for discerning diners. 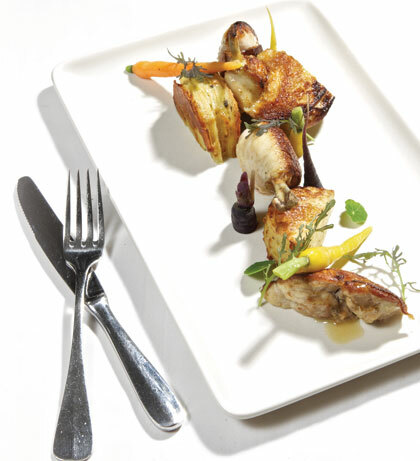 And Rediscovery takes you back to Five Crowns in Corona del Mar, where a lighter, brighter menu sparkles with new techniques. In the expanded section, we stage a canelés smackdown, and sample Wish Upon a Plate’s meringues. Our O.C.’s Best column introduces 11 upscale indie coffeehouses, and Miles Clements, author of our new Global Diner page about worldwide dining in the county, takes you out for Korea’s signature rice dish, bibimbap. Land’s End Is it still a holiday if the kids have moved on? Artist Spotlight “War in the Heavens” by digital artist J.T. Burke. His work is displayed through Dec. 31 at JoAnne Artman Gallery in Laguna Beach. >> Web Exclusive Click here to see an online gallery of other works by Burke as well as our comprehensive and searchable events listings for the month’s best in local arts and entertainment. To purchase a digital copy of this issue click here.